Beautiful designs, Thoughtful layouts and Practical consideration make it not just a kitchen, but your kitchen! Check out some of things we can do in our portfolio. Your home should be unique stunning well built We make it happen. 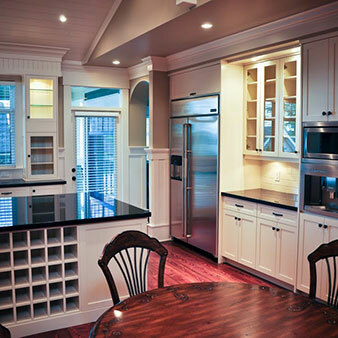 Manhattan Kitchen & Bath Design is more than just a provider of cabinets. Anyone can do that. Instead, we pride ourselves on creating unique and stunning living areas for your home. It's not just a kitchen, a bath or an entertainment room. It's your home. It deserves the care and attention to detail that will make it something special. Manhattan Kitchen & Bath Design will take your vision and make it a reality! Create a practical and efficient design for your cooking and entertaining needs. 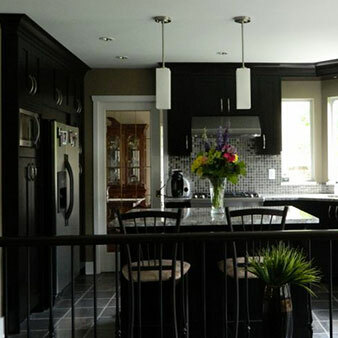 Compliment your kitchen design with a unified look and feel. Bars, entertainment areas and any other vision you have, we'll help make it happen. Help in selecting appropriate appliance to match your tastes and design. Whether it's granite or quartz, we'll help you find the countertop to take your design to the next level. 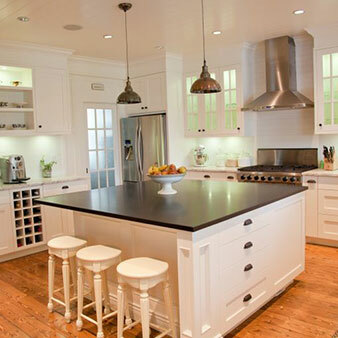 Fixtures, hardware and other seemingly minor details will make your kitchen complete. Big changes or small, we have ideas that will transform your home. No matter what your budget might be, it is taken into consideration.